Only 1.5km away from the city centre. Lush gardens with a sunny outdoor swimming pool. 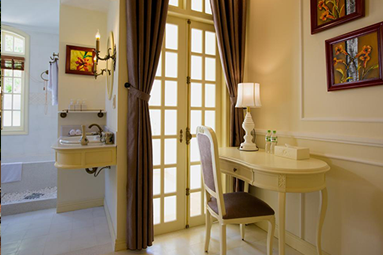 Elegant rooms that blend Colonial style with modern facilities and classical luxury. Free bicycles and shuttle service to the town and the beach. 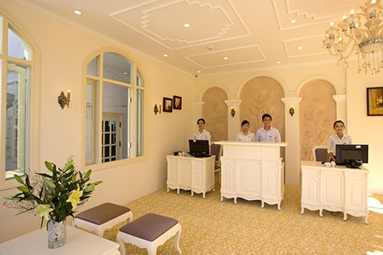 Warm and friendly Vietnamese customer service. 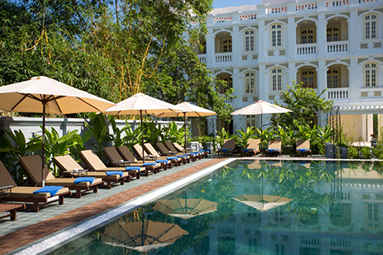 The cosy, colonial-style Hoi An Garden Palace & Spa enjoys an enviable location halfway between Hoi An Old Town and Cua Dai Beach. 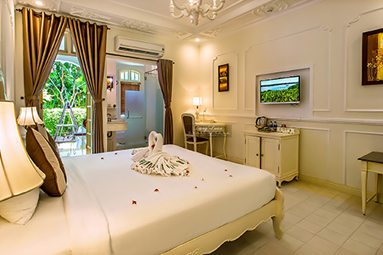 The 46 comfortable and well-equipped rooms are decorated in a classic style with air-conditioning, Smart TV, free wifi, safety deposit box, bathtub with hand shower, slippers and closet. 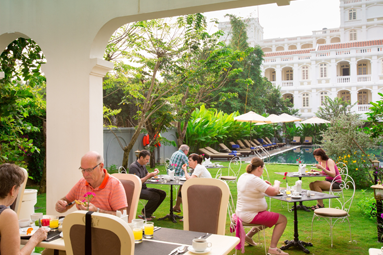 All rooms feature a balcony or terrace with a seating area from which to enjoy views of the pool, garden or city. There are a variety of recreational facilities on offer including beach services, gym, outdoor pool and spa. 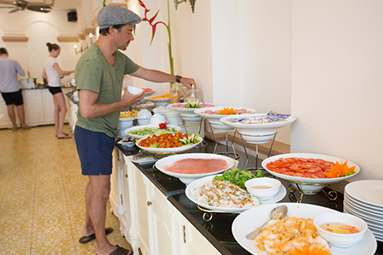 Guests can learn how to cook Vietnamese food by signing up for the cooking classes on arrival. Take advantage of the free shuttle service and free bicycle rental to explore the city and surrounding area. 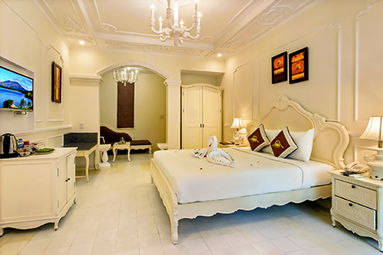 Hoi An Garden Palace Hotel and Spa is the one-stop destination for quality hotel accommodation in Hoi An.